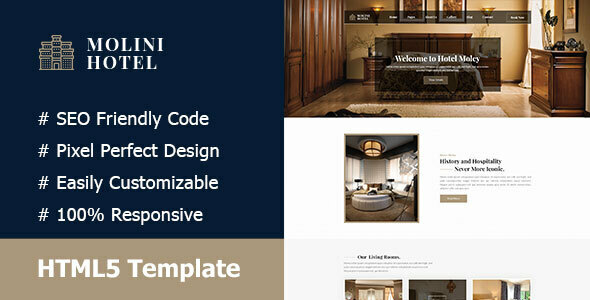 Molini- Hotel And Resort Responsive HTML5 Template, suitable for all types of hotel and agency businesses. This is a clean and modern design that you can use agency, realtor, home, house, developer, directory, html5, listing, material design, modern, property, real estate, rental and any kinds of house related Service and any kinds of hotel business service. It has a lot of features pages.